Though not as spectacular as some of the other calc-silicate skarns I have visited, this is nevertheless a nice locality. 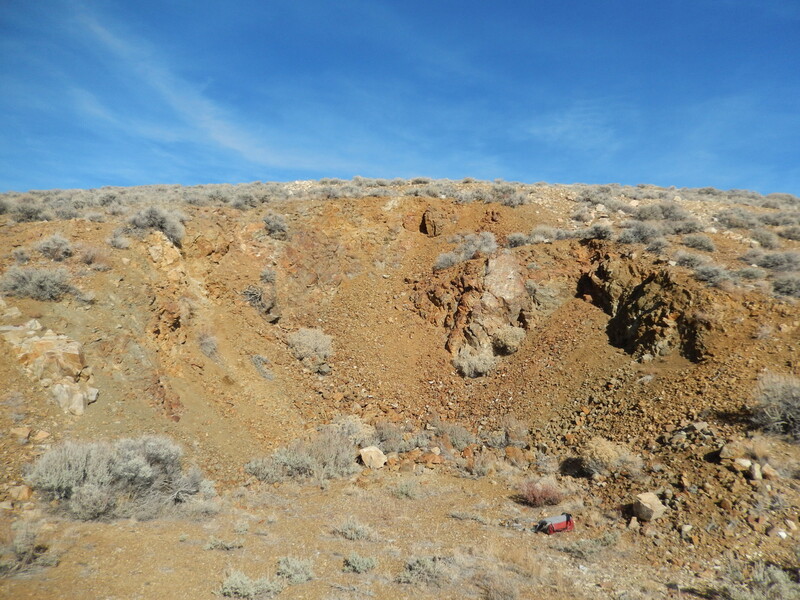 The coordinates were taken at a cut along a dirt road that provides the best exposure of the skarn material. Be sure to examine the tailings across the road as well; I found the best samples in those piles when I visited this site. 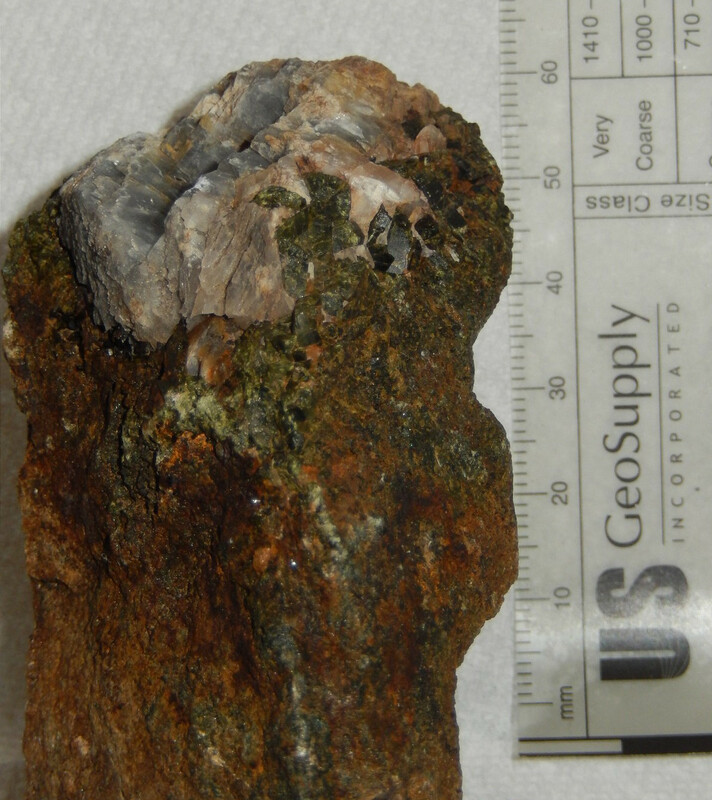 In this portion of the Pine Forest Range, granodiorite has intruded a package of late Paleozoic to early Mesozoic sedimentary rocks. 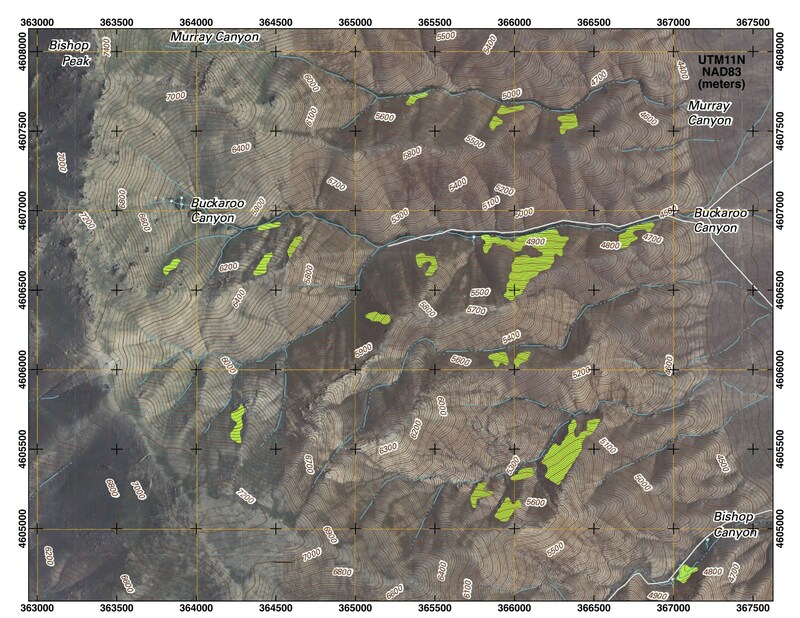 Interestingly, there is no contact metasomatic zone uphill from this locality on the ridgeline and to the east. 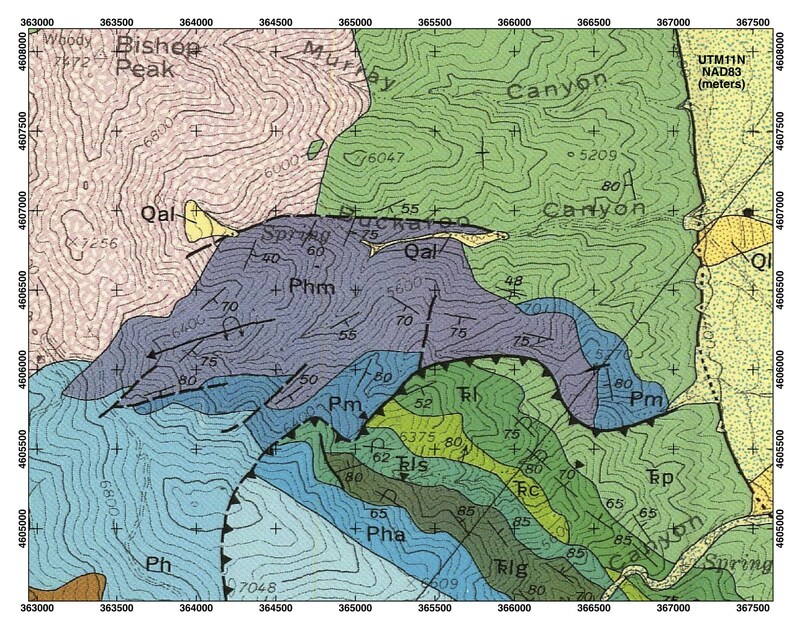 While the geologic map indicates this is an emplacement contact, it is probably actually a fault contact, since limestone outcrops within tens of meters of granitic rocks are only minimally recrystallized. 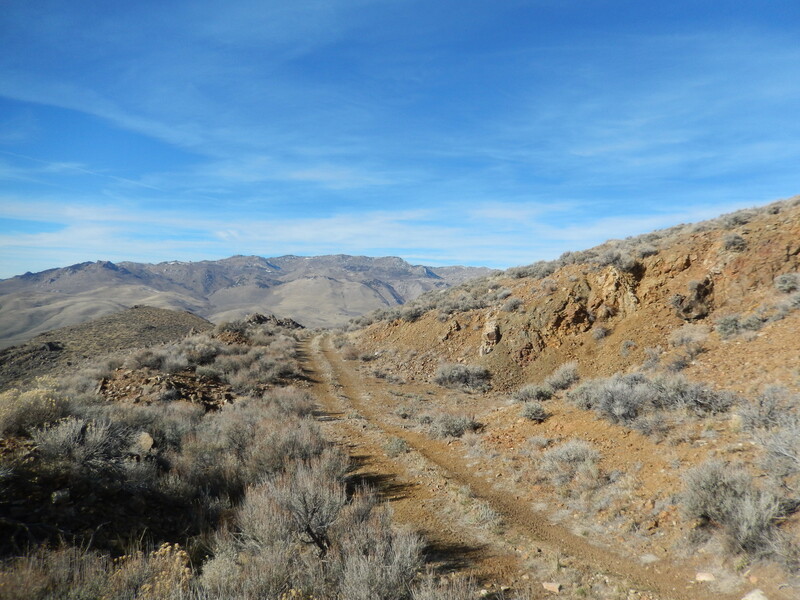 When I visited this area, I camped at the base of Buckaroo Canyon and hiked up to the ridgeline to examine the contact zone. The road that passes by the skarn cut was relatively well-graded around the contact zone, but I'm not sure how good it is elsewhere. A note of caution: this is a very remote part of the Basin & Range. The nearest gas station is 100 miles away. Be sure to bring enough water and extra gas. Also, Google Maps and the USGS topos show roads that do not actually exist, so be sure to thoroughly research your approach using air photos. On a side note, Dyke Hot Springs is located just a few kilometers south of this area.